In July the American Heritage Center received a $10,000 grant from the Wyoming Cultural Trust Fund to digitize six of its premier photographic collections. You can read more about the grant and the collections we’ll be digitizing in this University of Wyoming press release. The first collection we are digitizing as part of this grant is the Charles Belden photographs. This collection contains approximately 3,000 glass negatives from this iconic photographer of the American West. As we digitize this collection over the coming weeks, we’d like to give the public a chance to follow our progress through a new feature in our Digital Collections website. At the end of each day of scanning, we’ll upload the day’s scans to the Belden digital collection, which you can subscribe to via RSS (link below). 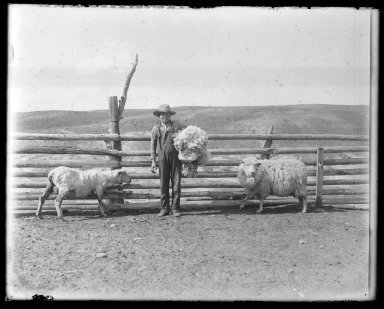 This entry was posted in grants, newly digitized collections and tagged Charles Belden, digital collections, grant, RSS. Bookmark the permalink.